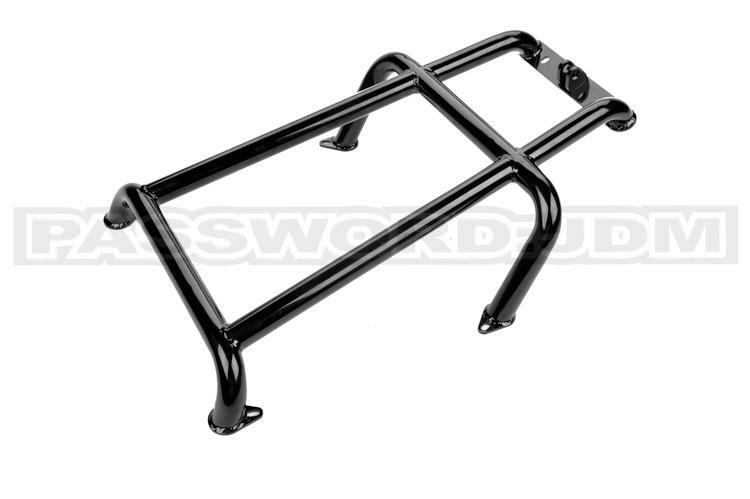 Password:JDM Ruckus / Zoomer Lower Frame Brace. What makes this frame brace so different? It’s made in the USA with light weight tubing, lighter than the other lower frame braces on the market. We weighed the NCY brace at 7 pounds without foot pegs, but ours came in at 3.5 pounds! Plus it has the tabs to accommodate the Password:JDM drag brace. Installation is straight forward, all necessary hardware is included. Made in the USA, and powder coated for a durable long-lasting finish or you can scuff it up for your own custom paint. For an additional few duckets add on the PasswordJDM Foot Peg Bracket! We designed this to allow for use of our foot pegs with a footrest brace / lower frame brace. Our brackets are made so that you can adjust the level of where you want the foot pegs to be set at depending on your riding style. Each kit includes 2 brackets, 2 foot pegs and all associated mounting hardware.